You purchased your holiday home only a few years ago only to find it in a dilapidated condition on your next visit. How do you make up for all that monetary loss? Structural damage to a home is a situation we're all familiar with at some point! Whether a home-owner or tenant, it poses threat, inconvenience and loss. And just who's behind this grave damage? The culprit better known as the wood borer beetle! 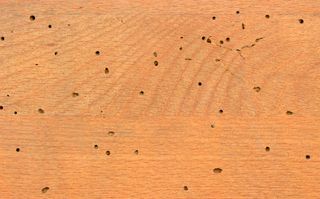 A borer beetle is just the kind of insect you don't want in your home or anywhere near any wood that you value. Did you know they could be just as bad as termites? As compared to other insects these don't just wreck havoc once they are adults but are even more damaging to the wood while in the larva stage! Whoever knew right from their egg stage they could be so destructive? Because of this reason it is important that you call for professional help in tackling a borer beetle infestation. At Protech Pest Control, we understand the urgency for immediate and effective treatment so as to avoid accidents and loss of valuable items. How do you identify the signs of an infestation? Flimsy or damaged wood especially floorboards, roofs, etc. Fine dust also known as 'bore dust' caused by adult beetles emerging from the holes. Being a beetle, borer beetles rightfully go through the stages of egg, larva, pupa, and adult that lasts for about 3 years. Adult beetles lay the eggs in tunnels in the wood. Once the eggs hatch into larva they start feeding on the wood and its sap safely hidden in the tunnels, away from being spotted by humans. A borer beetle spends majority of its life span as a larva, which can be for about 2 years! As they grow in size they come closer to the surface and exit from holes in the wood. Once the pupa reaches the adult stage it leaves the tunnel which was its nest and flies out to mate and lay eggs as it only has a few days to live. Although attracted to wood, different species tend to prefer different wood to lay their eggs. 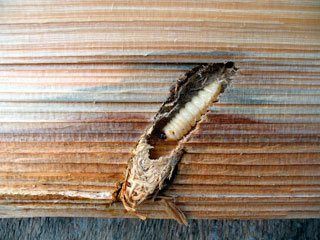 Borer beetles have the capacity to cause structural collapses in timber. Just imagine if a heavy piece of timber infested and reduced of its strength were to come loose and land on your child, your grandparent or your pregnant wife? Would you really be able to reverse all the health complications that might follow from that fatal accident? 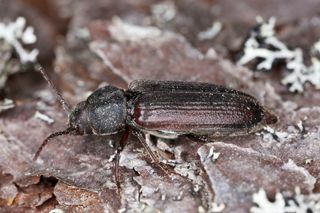 also known as Lyctid borer, this beetle feeds on the sapwood of certain hardwood timbers. It leaves behind a fine dust that has the texture of talcum powder and can strip the timber of its strength. also known as Anobium Punctatum, it prefers well-seasoned timber and softwood, which is commonly used to make flooring, furniture and items made from wood. This borer beetle prefers cool and humid conditions. its scientific name is Hylotrupes Bajulus and it can live anywhere from 3-11 years before emerging as an adult. It tends to attack the wood and chimney area, leaving a blistered appearance. It moves around freely in sunny conditions, enabling it to quickly spread infestations. How do I treat a wood borer infestation? Water-based treatment, which minimizes the chances of an infestation & ensures that you, your family and pets aren't exposed to the treatments. Fumigation which eradicates borer beetles in any life stage. 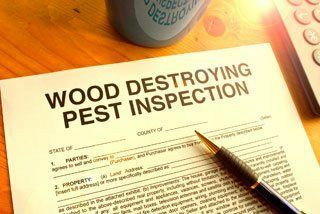 With 25+ years of experience in effectively dealing with pests, we are familiar with your needs as well as the expertise and treatments to eradicate the infestation. We keep the wellbeing of your family and pets foremost and ensure your home is restored to being pest-free with minimum disruption. We have over 2 decades of experience in the Pest Control field. We are fully accredited and licensed to carry out pest & wood borer control services from the Victorian government?